Introduce yourself to Peru’s colonial tapestry with its capital before delving further into the country’s rich history with Machu Picchu – the enigmatic poster child for the Sacred Valley’s lost Incan cities and stunning geography. 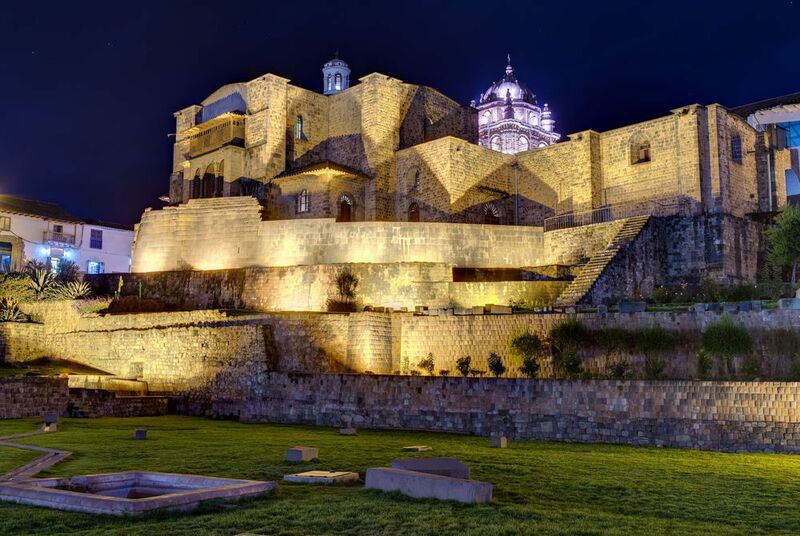 However, dig a little deeper on guided tours and you’ll find lesser-known citadels, archaeological sites and Cusco’s UNESCO-listed blend of colonial intricacy and imposing Inca battlements. 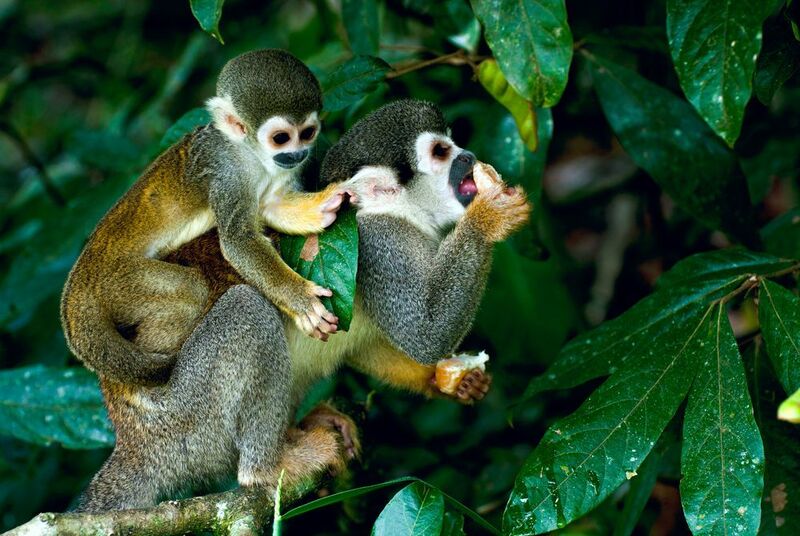 Then, end with an exclusive five-day cruise through the Peruvian Amazon aboard a bijoux river ship. Along the way, you’ll stop off for naturalist-led jungle treks, community visits and small skiff launches that bring you through intertwining waterways to parrots, monkeys and an incredible array of colourful fauna. You’ll also enjoy a full board fine dining experience. It’s worth noting that, while the itinerary below features both MV Aria Amazon, there are a full range of vessels and routes available. 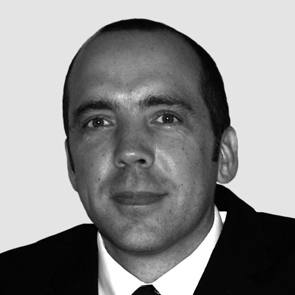 Contact our Amazon specialists for further information. Begin with complimentary airport lounge access before day flight to the Peruvian capital. Arriving in the evening, you'll be met by a private driver and transferred to your central hotel in the Barranco district. All bohemian eclecticism, it's an wonderfully colourful spot to begin your Peruvian adventure, home to some of the capital's best bars and restaurants, and a stretch of beach known for its superb surf. 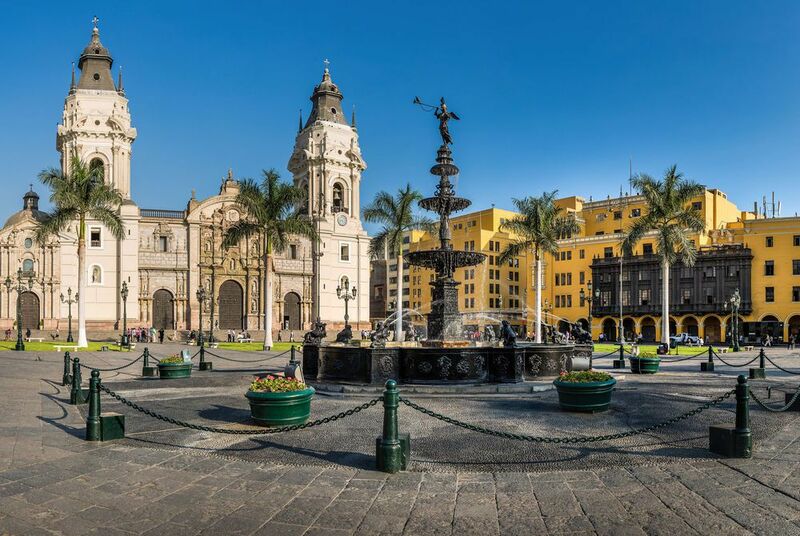 This morning– on a half-day private tour – you’ll watch as Lima wears its ‘City of Kings’ moniker with pride in its Plaza Mayor. Here, you’ll find the twin Government and Archbishop Palaces set alongside its grand Cathedral and colonial City Hall. You’ll then move onto historic convents, modern districts, Pacific sea views and Huaca Huallamarca, a centuries-old pre-Incan adobe pyramid. A private transfer and flight will then bring you to Cusco where you’ll be transferred to your hotel in Urubamba, set among picturesque foothills and snowy peaks. 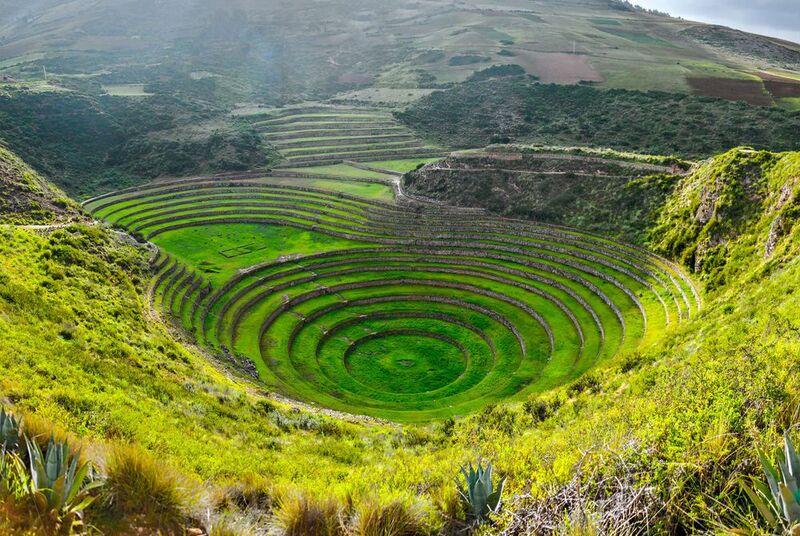 Head out to explore El Valle Sagrado on a full-day tour, taking in a collection of its highlights. You’ll start with a chance to browse some traditional Peruvian handicrafts before you arrive in Pisac, a colonial village set beneath a spectacular Inca fortress. Its ruins, market and weaving villages are a true insight into Andean life. Your next stop is Ollantaytambo, an Incan military, religious and agricultural centre. 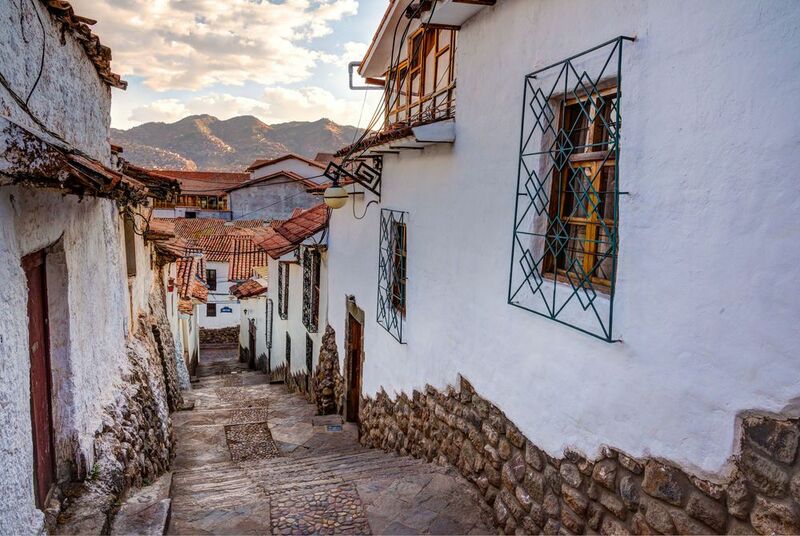 From its mountaintop perch you’ll look down on its town namesake; pick out its narrow streets and canals that remain unchanged since the Incas. Following a private transfer to the station, your journey to the Americas’ premier archaeological site will start with a luxury Vistadome train ride as picture windows and roof portholes invite in spectacular mountain vistas. 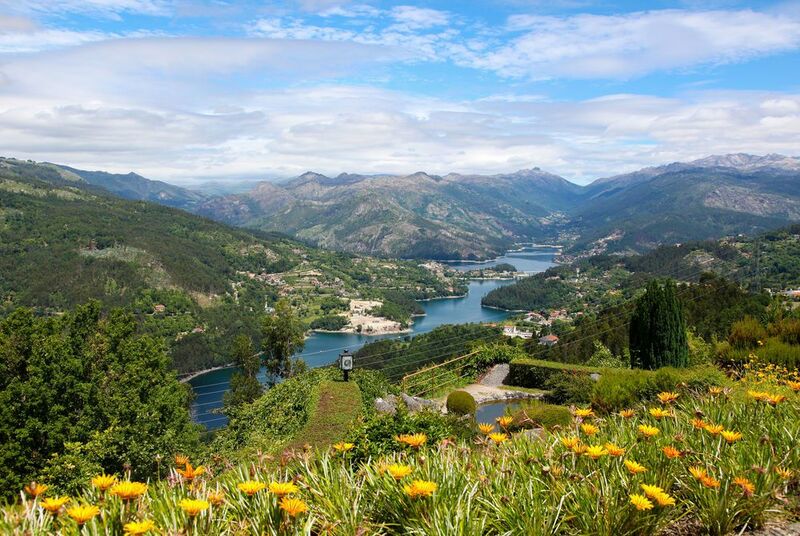 A short bus transfer will bring you the rest of the way to its UNESCO-listed summit where a local expert will guide you among this fascinating complex. Royal quarters lead to views over pristinely terraced banks and temples look out over 600-year-old burial grounds. 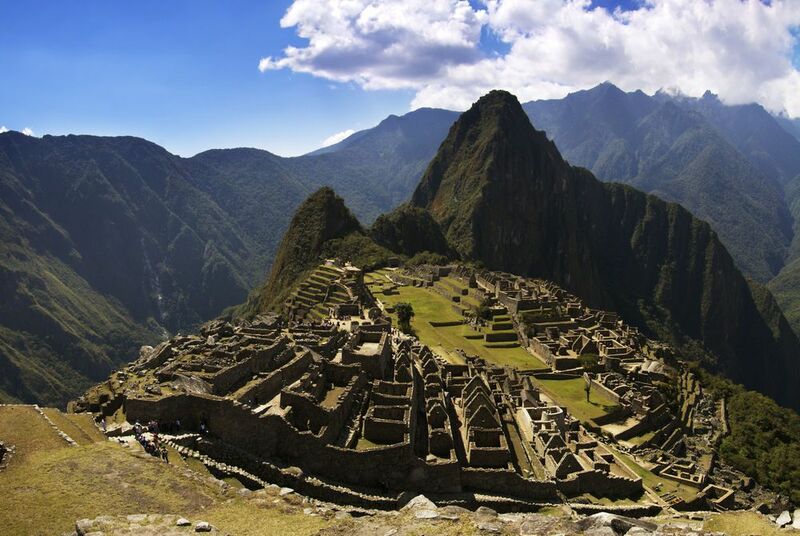 Make use of your return bus tickets to explore Machu Picchu further this morning – perhaps make the hike up for panoramic views over its verdant mantelpiece or wake early for sunrise mists. Then, catch a train to Cusco, a private transfer bringing you to your Spanish manor accommodation. 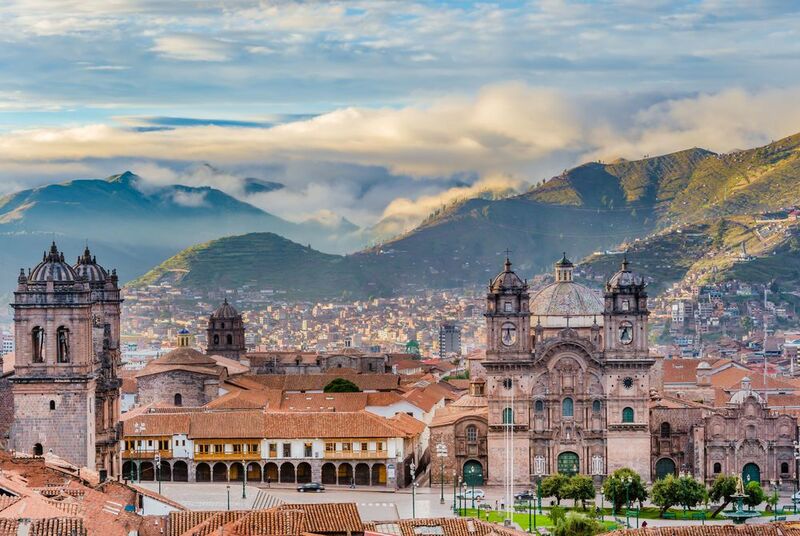 As a UNESCO World Heritage Site, you’ll explore its inimitable fusion of colonial architecture and Incan heritage on a city tour the next day. Its Coricancha Temple – complete with Incan foundations and Dominican church – is a fitting metaphor for Cusco’s unique contrasts while its Incan Sacsayhuaman Fortress and 17th century La Compania church keep their influences separate. The former is a particular favourite for its commanding views over the city. You’ll also head out of the city to a trio of archaeological sites – Qenko, Puca-Pucara and Tambomachay – along with a chance to visit a traditional arts workshop. After a private transfer, you'll fly north into Iquitos International Airport, you’ll be met by your guides and transferred along the only road out of town to Nauta. 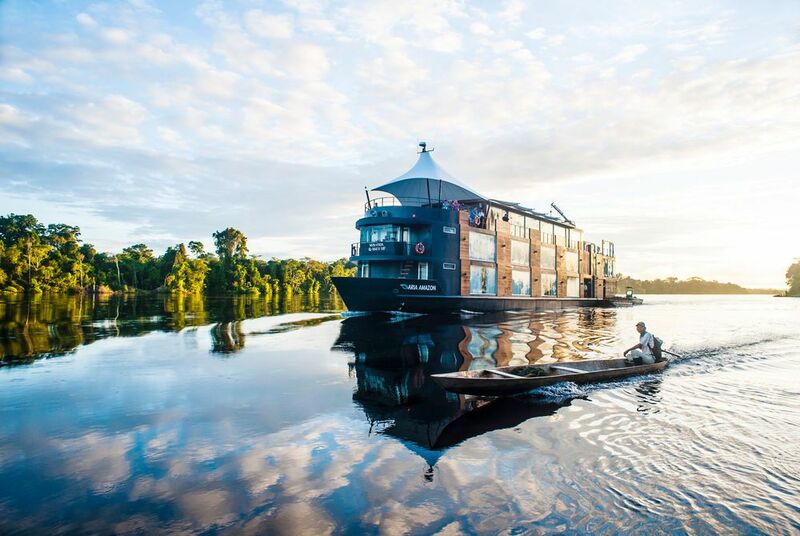 Here you’ll board the Aria Amazon to settle into your luxuriously appointed cabin as you start your journey along the two largest tributaries of the Peruvian Amazon – the Ucayali and the Marañon – as well as the Amazon itself. A briefing will introduce you to your naturalist guides whose multimedia presentations will keep you informed on the region’s incredible biodiversity. Then, settle down for your first evening meal aboard where imaginative menus showcase local produce with fresh fruit, fish and spices featuring heavily. After breakfast, a small boat tour will bring you into the Pacaya Samiria National Reserve long the Yanayacu-Pucate River, a black waterway home to everything from macaws and dolphins to squirrel monkeys and piranha. After lunch, a lounge lecture will educate you on the sustainable development projects being carried out in this part of the Peruvian Amazon before a community visit brings you up close to the local culture. Learn about how the native peoples practise subsistence farming, cultivating wild plants and trees to earn a living. There’s even the chance to learn about the fruit trees and medicinal plants hidden away in the jungle. Your morning talk today will focus on further sustainable development projects before you pay a visit to a village earning an income by planting palms to obtain oil. On the trip, your guide will also show you the artificial nests created in the sand to protect turtle eggs before you head deeper into the jungle to encounter more of the region’s wildlife. Keep an eye out for the famous Ceiba tree, the highest in the Amazon as you have a go at paddling a traditional Amazonian canoe and take a dip in the Samiria River. Returning to the ship, enjoy a cooking lesson before journeying into Nauta Caño. Part of the Pacaya Samiria Reserve, it’s known as the ‘Forest of Mirrors’ for its dark lagoons that reflect its lush scenery, animated by toucans, macaws, iguanas, alligators and colourful frogs. There’s even fishing bats. Sail along the Marañon River to disembark at the Casual community for a hike. Watch out for the eye-catching but poisonous frogs as you search for orange orioles and a whole host of reptile and amphibian species. Return to the Aria Amazon for lunch and a visit to the Yanayacu Islands, known locally as the ‘Islands of the Iguana’. Aside from these tiny dinosaurs, they also offer a chance to have a go at piranha fishing. There’s even the world’s largest aquatic plant – the Victoria regia, a giant lily. As the sun sets, grab your camera to capture the freshwater dolphins both grey and pink. Weather depending, you’ll tour the flood zone that borders the city of Iquitos, watching the houses and shops that float on the Itaya River. You’ll also stop at Bellavista Nanay, a traditional market serving up such exotic snacks as the Amazon caterpillars – a true local delicacy. After lunch, tour Iquitos itself – a town that made its wealth with the rubber boom – before stopping at the Manatee Rescue Center where you’ll witness the rehabilitation of these gentle giants. Lastly, stop at the Amazonian Indian Market San Juan for the chance to pick up some local craft souvenirs before boarding your flight back to Lima where a private transfer will see you to your luxury hotel. Following a private transfer to the airport, board your overnight flight back to the UK, arriving on day 13. The 45 metre long Aria was designed by the innovative Peruvian architect Jordi Puig. Extremely generous dining and lounging areas include an outdoor river facing Jacuzzi.